Worldwide, antimicrobial resistance is a soaring concern for a range of diseases, especially for enteric fever, respiratory tract infections, and various infections related with gram-negative bacilli (GNB). An upsurge in antibiotic resistance is mainly due to indiscriminate and inappropriate use of antibiotics and a marked decline in the development of efficacious antimicrobial agents. According to the Centers for Disease Control and Prevention (CDC), the leading federal agency focused on public health in the United States, over two million infections are caused by the antibiotic-resistant bacterial pathogens per year in the country, resulting in around 23,000 deaths. The burden is more alarming and critical in case of infections caused by multidrug-resistant (MDR) Gram-negative bacteria. Patients with MDR Gram-negative bacterial are known to have a higher mortality rate of about 30–70%. Unarguably, they cause higher mortality rates, prolonged hospital stays, and escalated cost of treatment, particularly for patients in intensive care units. According to the list made public by the WHO, among the various MDR Gram-negative bacterial organisms, few that pose significant reemerging threats and are of high priority include Pseudomonas aeruginosa, Acinetobacter baumannii, Enterobacteriaceae, Enterococcus faecium, Helicobacter pylori, Helicobacter pylori, Neisseria gonorrhoeae. Most of these are associated with causing urinary tract infections, nosocomial infections, and pneumonia. The mounting burden of these infections on public health, especially in emerging nations, is attributed to the rate of antibiotic resistance growing at a faster pace than the pace at which new drugs are being developed Hence, it becomes all the more mandatory that pharmaceutical companies and drug makers to actively focus on expanding the armory of novel therapeutics and accelerate clinical researches in the coming years. The emergence and proliferation of highly resistant gram-negative bacteria is a major concern given the limited number of antimicrobial agents that are currently available to combat these organisms. The abundant and often inappropriate use of antibiotics is further contributing to the emergence of these organisms. This is creating a pressing need for reliable and effective therapeutics for the treatment of gram-negative bacterial infection. Therefore, the rising research and development activities coupled with increasing investments are driving the global gram-negative bacterial infection market. The research report offers insights into both existing and therapeutics under development for the treatment of gram-negative bacterial infection market. It explores the investments in the pipeline, existing practices, and the latest clinical developments pertaining to the global gram-negative bacterial infection market. It also presents a detailed description of the competitive landscape of the gram-negative bacterial infection market. On the basis of type of infection, the global gram-negative bacterial infection market can be segmented into wound or surgical site infections, pneumonia, urinary tract infections, bloodstream infections, and meningitis. Pneumonia is the most common disease caused gram-negative bacteria followed by urinary tract infections. According to a report by the World Health Organization (WHO), this disease killed 920 136 children under the age of 5 in 2015. Meningitis is also a common disease caused by these organisms. A study conducted by one of the key players in the market, Merck & Co. Inc., indicates that about 25% of the newborns who suffer from gram-negative bacteria induced meningitis die and 15% to 20% of the infants develop serious brain and nerve problems such as enlargement of ventricles, deafness, cerebral palsy, and mental retardation. The alarming rate of mortality and morbidity due to these organisms is escalating the growth of the market. 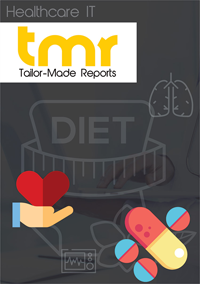 In terms of treatment, the global gram-negative bacterial infection market can be divided into Carbapenems, Colistin, Tigecyclin, Sulbactam, Doxycycline, and Rifampin. The demand for carbapenes is high for the treatment of gram-negative bacterial infections, particularly pneumonia. Some of the most commonly used carbapenes for the treatment of pneumonia are meropenem, imipenem, and doripenem. Sulbactam is majorly used for treatment of meningititis. However, colistin, tigecyclin, doxycycline, and rifampin are used for treating every type of gram-negative bacterial infection and are, therefore, likely to be adopted more in the long run. Players in the global gram-negative bacterial infection market are primarily focusing on development of more effective drugs. To put this in perspective, Prokarium Ltd. has developed Typhetec for the treatment of gram-negative bacterial infections. Currently, the drug is under phase II clinical trials and on the basis of phase I results, gram-negative bacterial infection market experts predict that this drug will be beneficial for the treatment of gram-negative bacterial infections in future and will encourage the growth of the market. Some of the key players in the gram-negative bacterial infection market are Baxter International Inc., Sanofi-Aventis, GlaxoSmithKline plc, Novartis AG, Pfizer Inc., Takeda Pharmaceutical Company Limited, Nektar Therapeutics, Dainippon Sumitomo Pharma Co., Ltd., Rib-X Pharmaceuticals, Inc. and Targeted Genetics Corporation.